As part of Loyola College’s commitment to the wellbeing of students, the Student Services Department assists all students in their ongoing social, emotional and academic endeavours. Our Learning Support Team includes a Special Education Teacher and several Learning Support Officers. Students who qualify for funding to support their learning through the Students With Disability Program (SWD) are afforded support through the development of Personalised Learning Plans. This program enables students with special learning needs to access the curriculum and manage their learning, thus supporting them to reach their full potential. The Learning Support Team act as advocates for the students, liaising with teachers and parents to ensure the wellbeing of those in their care. Parents are kept abreast of progress through regular Program Support Group Meetings where student progress is discussed and goal setting occurs. Those students who experience learning challenges who are not funded, are also supported. Communication is vital and the development of student profiles outlining specific challenges and learning styles are developed. Differentiation of coursework and/or examinations is offered to some students. Ongoing liaison with teachers and parents takes place to assist students in reaching their potential. Loyola College has students whose first language is not English. We endeavour to support student learning by providing one to one, or small group tutoring sessions to enhance English language acquisition. In addition, teachers are encouraged to incorporate appropriate strategies for improved acquisition of English in all subject areas. The Student Services Department ensures teachers are informed of E.A.L. students and a range of supporting teaching and learning strategies are disseminated. As part of Loyola College’s commitment to the wellbeing of students, the College employs Psychologists and Counsellors whose goal is to improve the educational achievement and the social and emotional development of students. Young people usually access counselling services on a short-term basis. The aim of the counselling is to help the young person clarify what the actual problem / issue is and how it is affecting them, then to look at appropriate strategies and action plans to help him/her manage and resolve the issue. Involvement in the development of school-wide policies and practices on wellbeing related issues. The student can arrange the appointment themselves by filling out the “Self-Referral Form” and either giving it to the counsellor or placing it into the “Counsellors letterbox”. Parental permission is not required as generally secondary school aged children are considered to have the maturity and ability to give informed consent to receiving counselling services. The student’s Mentor, subject teacher or Head of House can arrange an appointment for the student if they have concerns about the student’s emotional well-being. Parents can request an appointment for their child with the counsellor by contacting the counsellor directly and filling out a “Parent Referral Form”. Appropriate referrals will be accepted and in other instances, parents will be assisted in accessing other support. It is important that the parent talk over the purpose and the potential benefits of such a meeting with their child. The Loyola College counsellors are suitably qualified and registered with their appropriate professional body and are bound by the code of ethics and guidelines of their profession. This ensures that the highest standard of service is provided. The counsellors ensure that information discussed during counselling is kept confidential and is not disclosed to other people without the consent of the student or parent/guardian (where applicable). The counselling process, including limits to confidentiality, are discussed with all students prior to commencing counselling. There may be instances where complete confidentiality is not appropriate or possible, or in situations where the student’s safety is deemed to be at risk if the information is not released. There are some circumstances where failure to disclose confidential information may result in clear risk to the person or to others; in these cases, the psychologist will disclose the necessary information to relevant Senior Staff to avert risk. Making decisions about future career development is exciting, but can also be confusing, stressful and difficult for some young people. Loyola College aims to help smooth this path by providing assistance to students to think through possible pathways, to gather information, and to prepare and implement relevant action plans for their career development. 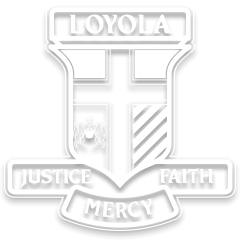 In order to access all the latest information to assist with making decisions about a future career and a life beyond school, visit Loyola College Careers online. At Loyola College, career development assistance has a strong focus in senior years with work experience, career interest assessments, pathways advice and a structured subject selection process. Career Education at Loyola College provides well-stocked and up-to-date resources available to all students and families. The role of the Home-College-Parish Liaison is one important expression of our conviction that home, school and parish are partners in education. Welcoming new families into the community, providing pastoral support in times of need, and promoting parental involvement in the life and activities of the College are all ways we seek to strengthen and maintain links between home, school and parish. This ministry supports the facilitation and provision of support programs and educational programs for parents. Where appropriate, we provide opportunities for parent gatherings for quiet prayer and reflection and also for retreats. Students are offered the opportunity to undertake the Rite of Christian Initiation for Children (R.C.I.C) program which supports the Sacraments of Initiation (Baptism, Reconciliation, Eucharist and Confirmation). Loyola College has the facilities to provide basic first aid. If a student feels unwell or is injured, their class teacher or supervising staff member will sign the Movement Log in the Student Planner and instruct the student to present to the First Aid Room. On arrival, the staff member on duty will determine the appropriate action on how to best support the student which might include allowing the student to rest, encouraging the student to take a drink of water, providing heat/ice packs. If a student cannot return to scheduled classes, parents are contacted to make arrangements to collect their child. Students are not permitted to make their own arrangements to go home. The Sport Injury Protocol is activated when students are involved in minor or major accidents during the ASC Sport Program.